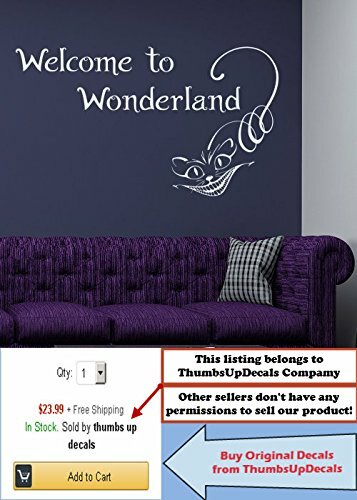 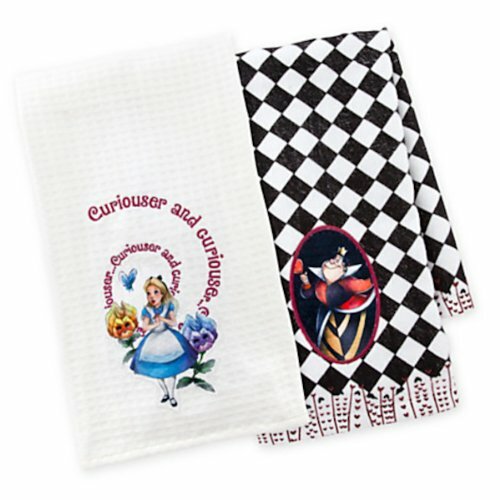 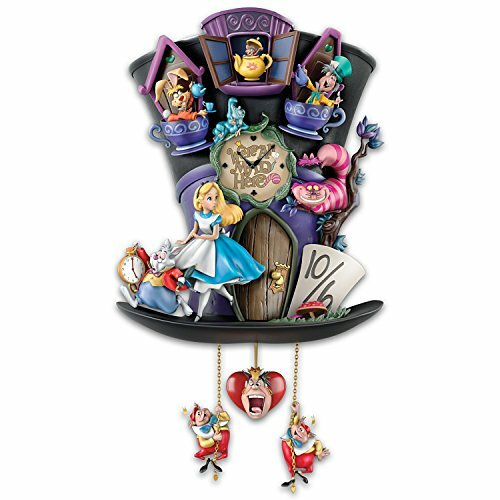 Set of 2 Alice in Wonderland dish towels. 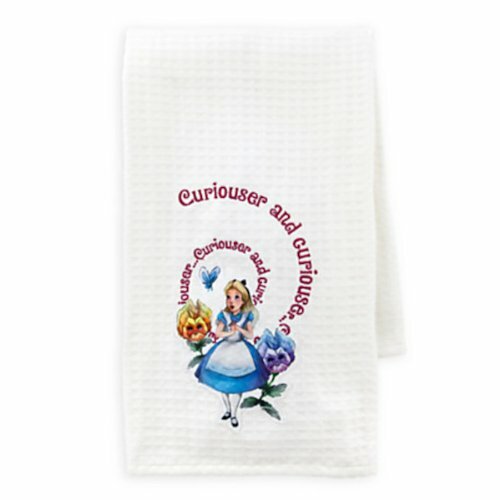 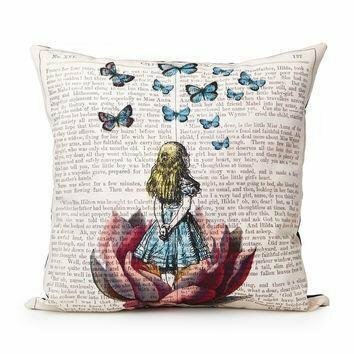 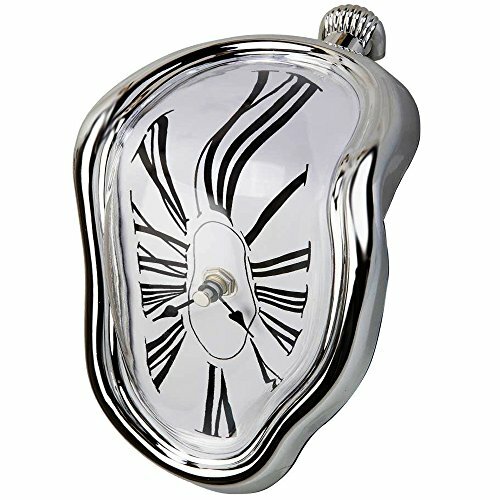 One is white with an Alice appliqué and the embroidered text 'Curiouser and curiouser'. 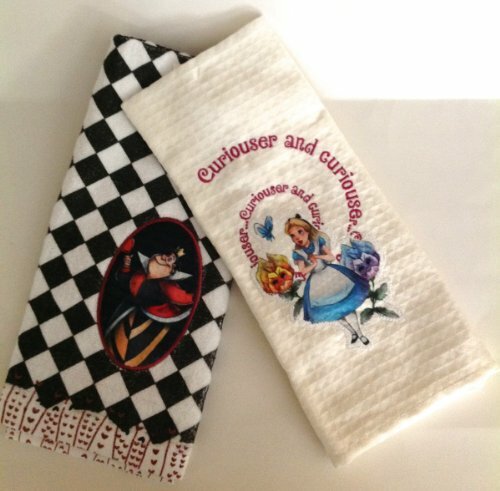 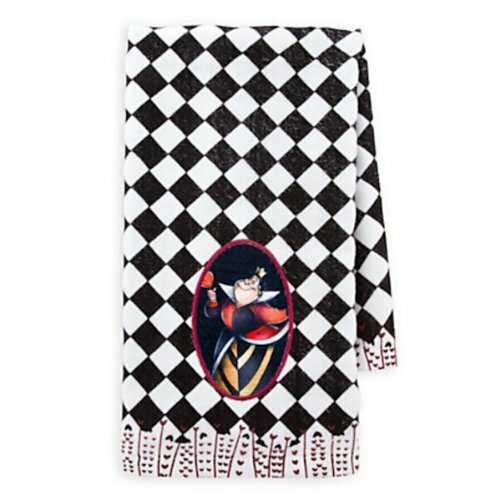 The other has a checkered pattern and a Queen of Hearts appliqué. 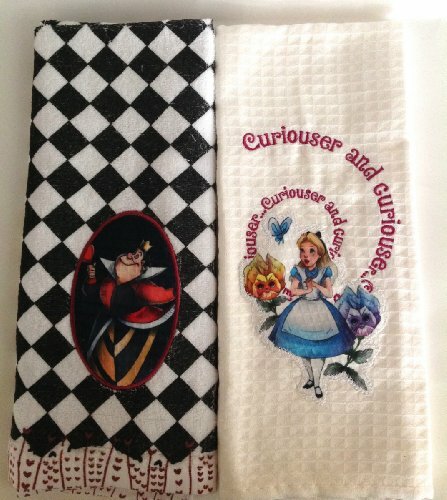 Cotton, 26" x 16" each.